Starting with Windows Vista, the built-in Windows Administrator account is disabled by default. This account is separate from administrator-level user accounts, although both have the same privileges. If that’s the case, is it best to ignore the Windows Administrator account? Yes and no. 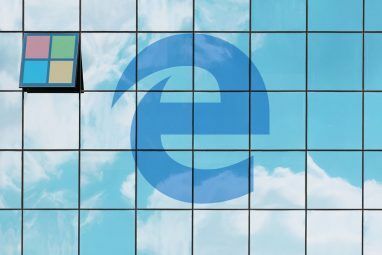 Windows operates fine without it and most users will never really need to use it, but it does offer a bit more power and flexibility than a user account–at the risk of reduced security. In Windows Vista and beyond, user accounts have to deal with User Account Control (UAC), which is the annoying prompt message that pops up whenever you want to perform an action with elevated privileges (like installing a program across all accounts). When prompted, user accounts with regular privileges must enter administrator credentials (username and password) if they want to proceed. On the other hand, administrator-level user accounts only have to click a confirmation button to continue. Still, it can be an annoyance, especially if you have to deal with it on a daily basis. The Windows Administrator account bypasses all of that because it has no reins or boundaries. Of course there are other ways to bypass the UAC in Windows Stop Annoying UAC Prompts - How To Create A User Account Control Whitelist [Windows] Stop Annoying UAC Prompts - How To Create A User Account Control Whitelist [Windows] Ever since Vista, we Windows users have been pestered, bugged, annoyed, and tired of the User Account Control (UAC) prompt telling us a program is starting up that we intentionally launched. Sure, it has improved,... Read More without resorting to the built-in Administrator account, but you can use it if you want. Again, Microsoft keeps the Windows Administrator account disabled by default, so you’ll need to manually enable it before you can start using it. We don’t recommend this because it can open up several security risks on your system, so only go through with it if you know what you’re doing and can accept any potential consequences. Across Windows 7, 8.1, and 10, there are up to three ways that you can enable (and disable) the Windows Administrator account. They’re all equally effective, but the command prompt method 7 Common Tasks The Windows Command Prompt Makes Quick & Easy 7 Common Tasks The Windows Command Prompt Makes Quick & Easy Don't let the command prompt intimidate you. It's simpler and more useful than you expect. You might be surprised by what you can accomplish with just a few keystrokes. Read More is the only one that’s guaranteed to be available on your version of Windows. Go with whichever option works best for you. First you’ll need to open a command prompt. The normal command prompt does not have administrator privileges, which is what we need for what we’re trying to do, so you have to run the command prompt as an administrator A Beginner's Guide To The Windows Command Line A Beginner's Guide To The Windows Command Line The command line lets you communicate directly with your computer and instruct it to perform various tasks. Read More . We call this kind of command prompt elevated. Elevating the command prompt is easy. Open the Start Menu and type cmd.exe into the search bar. When the results show up, right click on cmd.exe and choose Run as administrator. If the UAC prompt shows up, click Yes. Simple and effective. Now that it’s enabled, you can sign into the Windows Administrator account by logging out of your current user account. On the account selection screen, the Administrator account should now be visible. Tip: Don’t be afraid of the command prompt. It seems advanced and highly technical, but it’s actually not that hard to learn The Windows Command Prompt: Simpler And More Useful Than You Think The Windows Command Prompt: Simpler And More Useful Than You Think The commands haven't always stayed the same, in fact some have been trashed while other newer commands came along, even with Windows 7 in fact. So, why would anyone want to bother clicking the start... Read More and can prove quite useful when you run into trouble. Start with these basic prompt commands 15 CMD Commands Every Windows User Should Know 15 CMD Commands Every Windows User Should Know The command prompt is still a powerful Windows tool. Here are the most useful CMD commands every Windows user needs to know. Read More if you’re interested. A graphical approach to this would be to use the Local Users and Groups window. Most users have never dealt with this window before so it might look intimidating at first, but don’t worry. It’s quite straightforward. Note: This technique only works in Professional and Ultimate versions of Windows. If you have the Home Basic, Home Premium, or Starter editions, this method will not be available. First, open the Run window by pressing Windows + R. For those who don’t know, the Windows key is the one along the bottom left of the keyboard, the same key that opens the Start Menu when pressed. If you hold it down and press R, it opens the Run window. Now type lusrmgr.msc into the field and click OK.
Click Users in the left pane, then right-click on Administrator and select Properties. Under the General tab, you should see a checkbox labeled Account is disabled. Deselect this option, click Apply or OK and close the window. That’s it. Another graphical approach is to use the Local Security Policy editor. It’s the most complicated option of the three, but it’s still straightforward enough. Start by opening the Run prompt with the Windows + R keys. Type secpol.msc into the window that shows up. Click Local Policies in the left pane, then click Security Options in the hierarchy under it. In the main pane, right-click on Accounts: Administrator account status and select Properties. Under the Local Security Setting tab, switch from Disabled to Enabled, then click Apply and OK. Done. Now that the account is enabled and protected, there’s one more thing that you should know. Hackers and malware distributors are always finding new ways to gain access to the Administrator account, and with it enabled, you’ll be at greater risk. 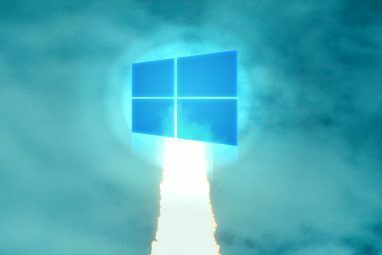 Launch an elevated command prompt. Open the Smart Menu, type cmd.exe in the search bar, right-click on cmd.exe in the results, and select Run as administrator. Now the Administrator account will be renamed to whatever you inputted, which in this case was NewUserName. This method should work on Windows 7, 8.1, and 10. I cannot emphasize this enough: unless you absolutely need the Windows Administrator account for a very specific purpose, do not use it. There’s a reason why Microsoft implemented the UAC in every version starting with Vista–it’s just safer and more secure that way. Speaking of security, the Windows Administrator password is one of the most important default passwords to change 3 Default Passwords You Must Change & Why 3 Default Passwords You Must Change & Why Passwords are inconvenient, but necessary. Many people tend to avoid passwords wherever possible and are happy to use default settings or the same password for all their accounts. This behavior can make your data and... Read More , so change it if you haven’t already. 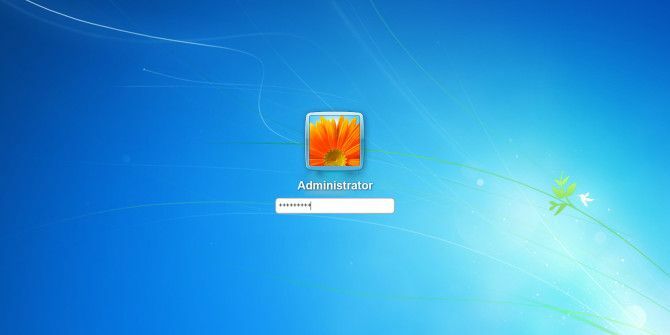 If you somehow forget the password, here’s how you can recover it Lost Your Windows Administrator Password? Here's How to Fix It Lost Your Windows Administrator Password? Here's How to Fix It You've lost control. All the accounts you can access on your Windows computer aren't Administrator accounts, meaning you're helpless to install software, update drivers or do any kind of administration whatsoever. Don't panic. There are... Read More . If you have any issues with the Windows Administrator account, post about it below and we’ll try to help. Explore more about: Computer Maintenance, User Account Control, Windows 10, Windows 7, Windows 8, Windows 8.1. Thank you for the learning resources. I disabled set of old users account with administrative privilege. But recently notice that the softwares that where installed by the owners of those account having been generating errors. Do you think this errors are as a result of the existence of those account? Please, I look forward to your expert advise. Thank you. Why does it mess up everything on the desktop of the other account? When I tired to put stuff in a folder, it disappears from the normal account. Why? I enabled the administrator account using the cmd function. I successfully set a new password for the administrator account in the cmd window. The administrator account does not show up in the manage accounts window. How can I make the administrator account visible? my computer adminstrator account is disable and normal user not have adminstrator rights so how to give adminstrator rights. For that i am not able to install any software or change any settings. why we will create another admin account when we already have a build-in administrator account created once we install the OS? what is the need to create another admin account when microsoft is giving us a built in admin account? In my computer have built in administrator account and guest account. Both of this accounts are disable. I also have my account but this account is member of Users group only. So how to enable the built in administrator account, Because of I occur some problems. Please help me. Using the command "net localgroup administrators" (*language specific) an attacker can get a list of all administrative accounts on the system. You would also have to rename ALL security groups and remove their descriptions to get a proper obscurity layer against a manual attack. While I suggest keeping the administrator account disabled there is a valid application for renaming it. Unless you are a direct target chances are who/whatever is attempting to gain access will most likely fail or move on rather than wasting time on your machine. This does not apply in Windows 7 Home Premium. Hmm, I might rename mine God or Obama ... Bush might do.